🚨 FINAL DAY TO SAVE! 🚨 $100 Off Your Vacation! Today is the last day to save $100 off vacation packages 🌴 for International & Hawaii travel. Hurry! This sale, like the Solar Eclipse, won’t last long! 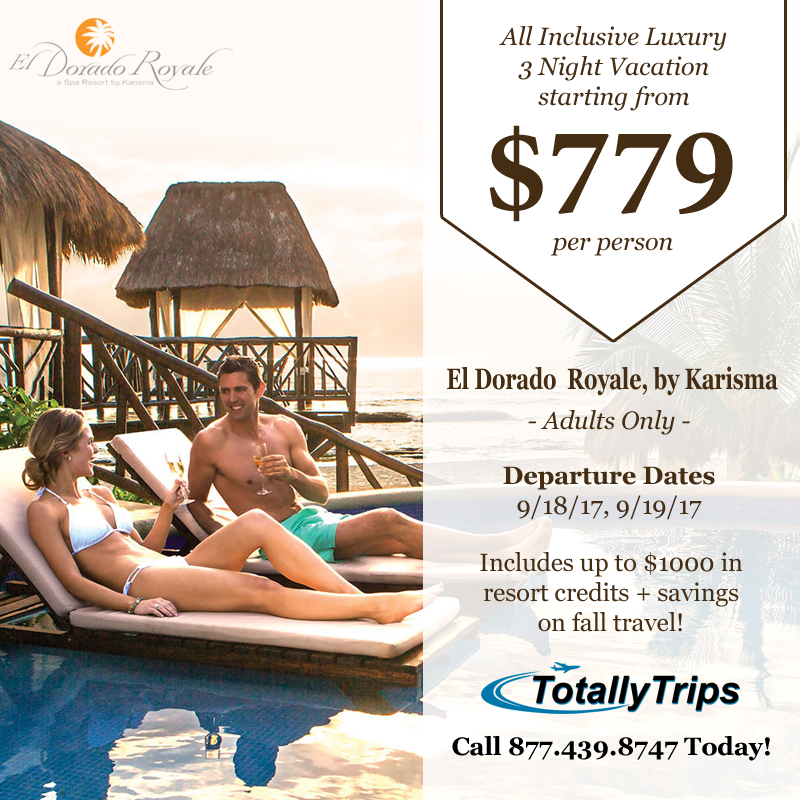 Call 877.439.8747 to book your dream vacation today or visit http://www.totallytrips.com/promotions/totally-eclipse-of-the-sun-sale.php to request a quote! The Solar Eclipse 🌒🌚 is almost here! 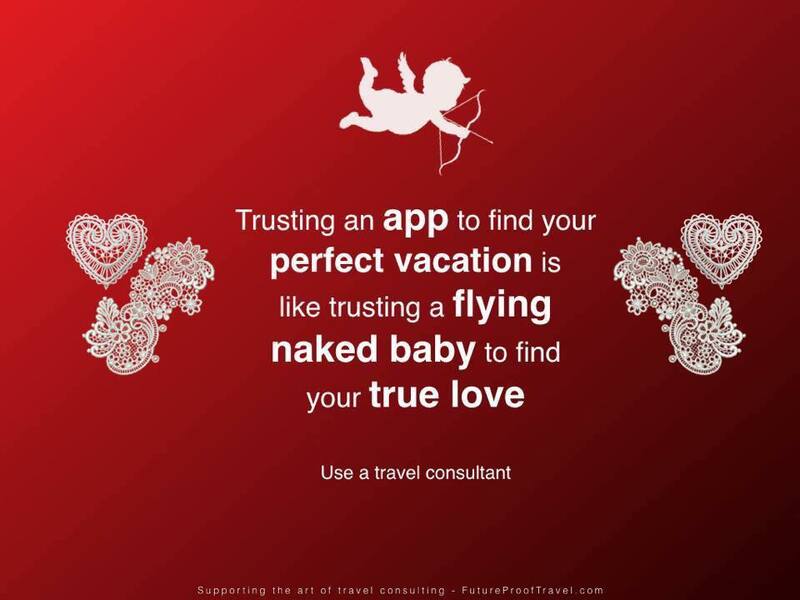 That’s why now through August 28th we’re offering $100 off vacation packages 🌴 for International & Hawaii travel. Hurry! This sale, like the Solar Eclipse, won’t last long! 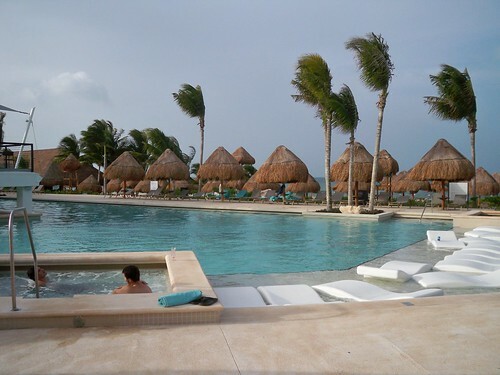 Call 877.439.8747 to book your dream vacation today or visit http://www.totallytrips.com/promotions/totally-eclipse-of-the-sun-sale.php to request a quote! 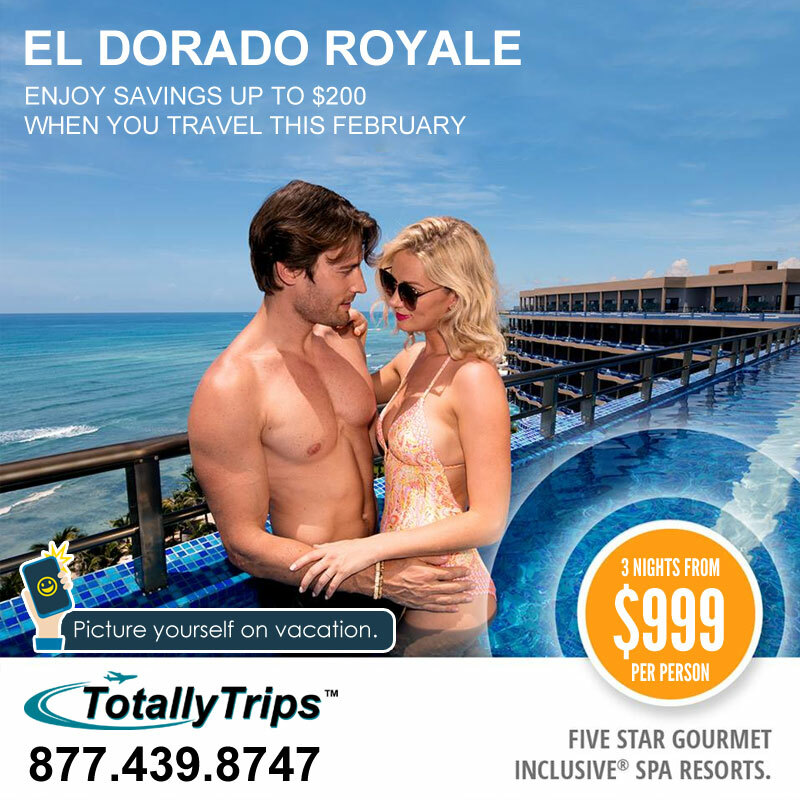 On Sale This Week from St. Louis – El Dorado Royale!